We are pleased to announce that we will have around 9 PhD studentships (for UK/EU applicants only) available for the academic year 2019/2020. Applications for the 2019 intake have now opened and you can see full details below. The deadline for applications for admission in 2019 for UK/EU students will provisionally be 27th January 2019, applications will be considered after this date, although we may not be able to guarantee an interview. The applications are now open and the online forms can be found here (once you have selected 'Accept and apply', fill in the drop-down lists with, 'Department: Physics and Astronomy', 'Programme Type: Postgraduate Research' and 'Full time, part time, etc: Full-time', then click the Search button, you should then select the course with code RRDPHYSDIS01. There is no need to write a research project, despite what the generic UCL application form states. Instead what we need is a short personal statement describing your reasons for applying for a DIS PhD, any relevant experience, achievements, awards and publications you may have and which of our research areas interests you most. In addition you can also upload a short CV (2 pages), which highlights key points about your University education, MSci project (or similar), career/placements, your computing experience and any other details on your technical/experimental experience which is relevent. We will be considering all applications received and will invite a shortlist to interview in mid-late February 2019. PhD admissions inquiries can be addressed to PhD Admission Tutor, Prof Serena Viti. However it's likely that many questions will be answered in these pages so please read through before contacting us. We will automatically consider UK/EU candidates for an appropriate studentship when you apply to us by 27th January 2019. Applications will be considered after this date, although we may not be able to guarantee an interview. If you are from the UK, or from the EU and meet residency requirements (settled status, or 3 years full-time residency in the UK), you are eligible for a studentship provided by the Science & Technology Facilities Council (STFC). This pays UK/EU tuition fees and a maintenance (i.e. subsistence) allowance. More details on the studentships, including their value, can be found here. Applicants meeting the relevant criteria are automatically considered for a studentship and do not need to apply for a studentship separately. Applicants whose first language is not English should note the additional requirements in respect of this. Please note that unless you satisfy the requirements mentioned above the department cannot offer you a PhD position (i.e. we are not allowed to make exceptions). We strongly advise that you check whether you meet the requirements, and take any necessary tests such as the IELTS, before making an application; or, if this is not possible, no later than the date of interviews. 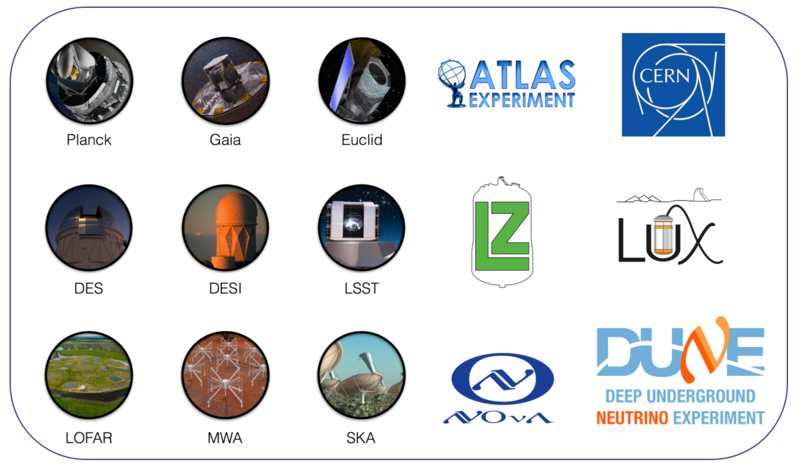 A list of projects that will be offered in the Astrophysics area here and to get a flavour of the type of projects on offer in the other areas, you can have a look at the list of projects assigned to the current cohort of DIS students here. You can also see the profiles of the currents students enrolled in the Centre here. In the application you should ensure you apply for the CDT DIS stream, but clearly state n your research statement whether you are interested in a DIS project in Astrophysics and/or High Energy Physics. You will be able to express an interest in a particular area. Applicants interested in a wider range of non-CDT based research projects in the both the High Energy Physics and Astrophysics groups, need to also apply directly to the respective groups for consideration. Further details on dedicated studentships can be found here for the High Energy Physics group, here for the Astrophysics group and here for the MSSL group. The 17 inaugural research projects cover a wide and diverse range of DIS research areas, providing both an excellent training ground and ideal use-cases for the development/application of new DIS techniques, which will enhance our ground-breaking fundamental research.